LOS ANGELES, California — Illustrating how HARMAN’s acclaimed Studer Vista 8 digital console can raise the bar for audio in any broadcast application, TVG, the official television and Interactive Wagering partner of the National Thoroughbred Racing Association (NTRA), has installed a new Vista 8 at its broadcast production and post production facilities in Los Angeles. TVG provides live feeds, via cable and satellite distribution including the DISH Network and DirecTV, of all major thoroughbred races from all the leading race track venues in the U.S., as part of the online wagering activities of its parent company, the Betfair Group, the largest online betting organization in the world. 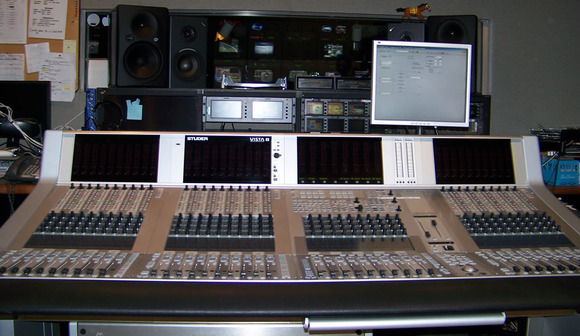 The Studer Vista 8 console is the centerpiece of TVG’s strategy to move horseracing broadcasting into the high-definition era, bringing with it high-quality 5.1 surround audio, for programming such as “Trackside Live,” TVG’s flagship show. “The Vista 8 will be our main console for all of our production and post-production,” states Frank Walters, TVG’s Manager of Engineering, who adds that the console will be fully commissioned in its facility this summer.